Following my recent post on my Cherry Culture order I have started to test out some of the bits – starting with the eye shadows (2x single shadows plus 1x loose pigment). I’m actually a bit surprised to say that the pigment is the stand out for me – I normally shy away from loose shadows, simply because I’m messy and clumsy and this isn’t a good combination for something like a pigment. 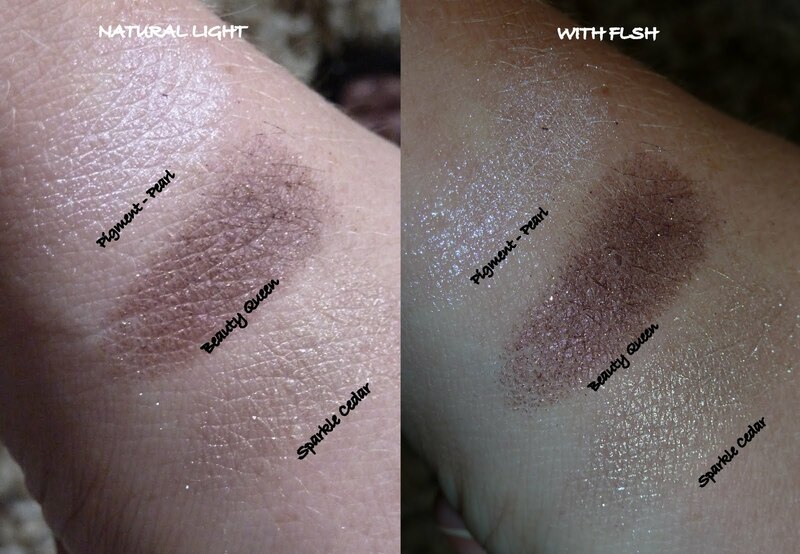 Swatches – with flash and in natural light. The shadows are reasonably well pigmented, but I find both have a slightly chalky texture with a fair amount of fall out. Both shadows have quite a bit of glitter that shows when swatched. The pigment on the other hand is very fine and very smooth to apply, although slightly difficult to get out of the small container. All in all, I’m still glad I picked out these colours and will try and use them, but I don’t love them. 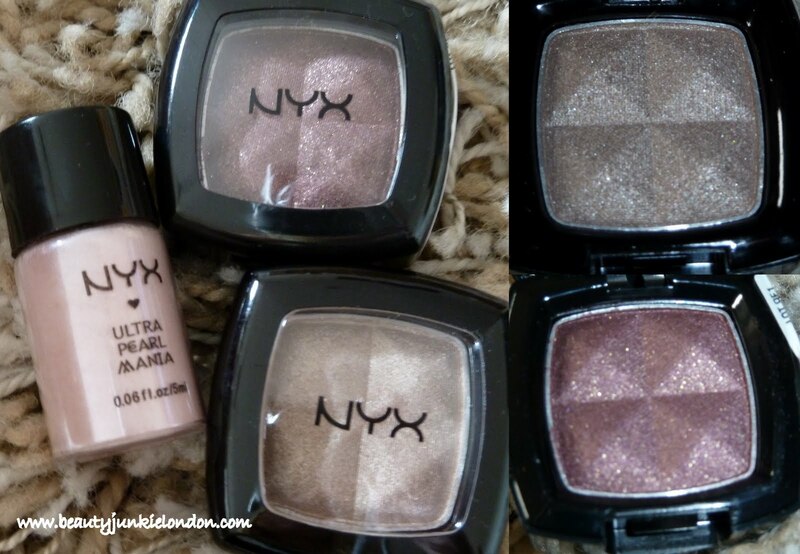 I agree- sometimes NYX does have that chalky texture to it. I found that using a creamy base under it helps to tone this down. I find that NYX has a hit/miss line. Some shadoes are so creamy and pigmented, and others are chalky. I really recommend Iced Mocha and Rust from them-they’re so creamy!